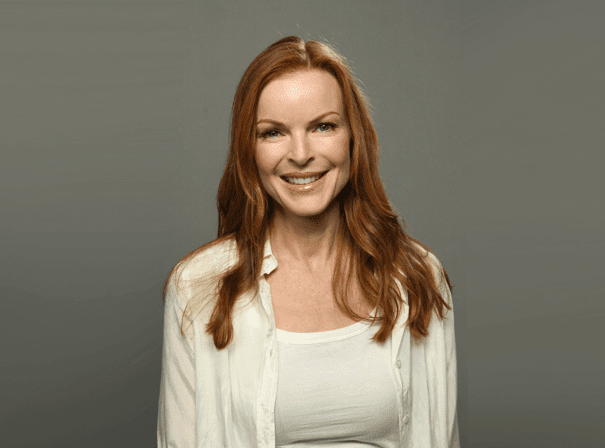 American actress Marcia Cross is best known for her role on the popular ABC television series Desperate Housewives, the breakout hit of the 2004-2005 television season. Her performance as the conservative housewife Bree Van de Kamp garnered many nominations including an Emmy Award, three Golden Globe Awards, and five Screen Actors Guild Awards (winning two with cast). Cross also received a Satellite Award for her performance in the show’s second season. Desperate Housewives ran for eight seasons from 2004 until its conclusion in 2012. Cross got her start in the acting world on the soap opera The Edge of Night, playing the recurring role of Liz Correll. Soon after, she appeared in television movie The Last Days of Frank and Jesse James, co-starring Johnny Cash and Kris Kristofferson. She went on to guest-star on primetime shows such as Who’s the Boss?, Quantum Leap, Knots Landing and Cheers. Cross has also appeared in various sitcoms such as Seinfeld, Boy Meets World, Ally McBeal, Spin City and The King of Queens. Some of her more dramatic roles include appearances on CSI, Strong Medicine, Profiler and Touched by an Angel. In 2015, Cross also guest-starred in an episode of Law & Order: Special Victims Unit, and later joined the cast of ABC thriller series Quantico as President Claire Haas, a former Democratic vice presidential nominee.